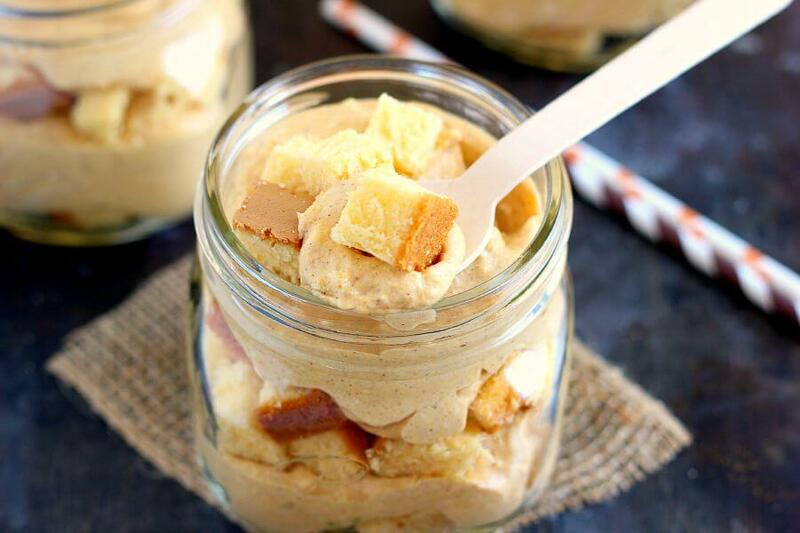 This No-Bake Pumpkin Cheesecake Trifle is filled with a creamy cheesecake batter that’s swirled with pumpkin and topped with golden pound cake chunks. It’s an easy treat that requires no oven and is perfect to capture the flavors of fall! Ever since I made this no-bake cheesecake back in December, I’ve been dreaming of new combinations to create. A seasonal one for the holidays, a minty green one for St. Patrick’s Day, a blackberry cheesecake for the summer, and now onto fall. I’ve been waiting to share this No-Bake Pumpkin Cheesecake Trifle with you since August. I absolutely love pumpkin (incase you couldn’t tell) and this cheesecake was one of the very first fall treats that I whipped up. But since it was still a bazillion degrees in September, I decided to hold out until now. Forgive me, ok? No-bake cheesecakes are one of my favorite dishes to whip up. I love the fact that you don’t have to turn on the oven to get a decadent treat full of flavor. And the flavor combinations are endless! I’ve already been brainstorming a few more no-bake cheesecake ideas for the rest of the year and can’t wait to share those with you. From chocolate to strawberries and peanut butter, I could go on and on about how decadent this treat is! 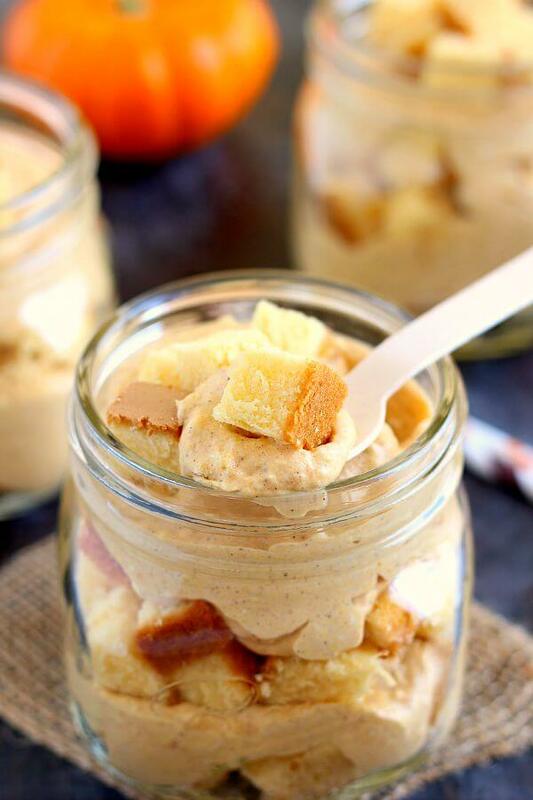 Which leads me to this No-Bake Pumpkin Cheesecake Trifle. This no-bake dish is filled with a creamy cheesecake batter that’s swirled with pumpkin and topped with golden pound cake chunks. It’s an easy treat that requires no oven and is perfect to capture the flavors of fall. 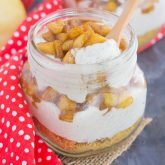 And if you’re like me, then easy goodies like this No-Bake Pumpkin Cheesecake Trifle is a must-make any time of the year. And when it involves pumpkin, it makes it even better. The cheesecake batter is smooth, rich, and filled with a cozy pumpkin flavor. And those pound cake chunks? It’s delicious when combined with creamy pumpkin cheesecake! I used a store-bought pound cake and cut each slice into chunks, but feel free to use your favorite recipe if you prefer. The creamy pumpkin cheesecake pairs well with the pound cake, which acts like the crust in this No-Bake Pumpkin Cheesecake Trifle. Trust me when I say that this No-Bake Pumpkin Cheesecake Trifle is a breeze to whip up. You simply beat together some cream cheese, heavy cream, sugar, pumpkin pie spice, and vanilla until smooth and creamy. Then you fold in some pumpkin and layer over chunks of pound cake. Pop these trifles into the refrigerator for about a half hour to firm up and then your decadent fall treat is ready to be devoured. One bite and you’ll be hooked on the delicious pumpkin taste and creamy texture. So if you’re looking for the perfect fall dessert to serve at parties, get-togethers, or just for yourself, then you’ll love this No-Bake Pumpkin Cheesecake Trifle! 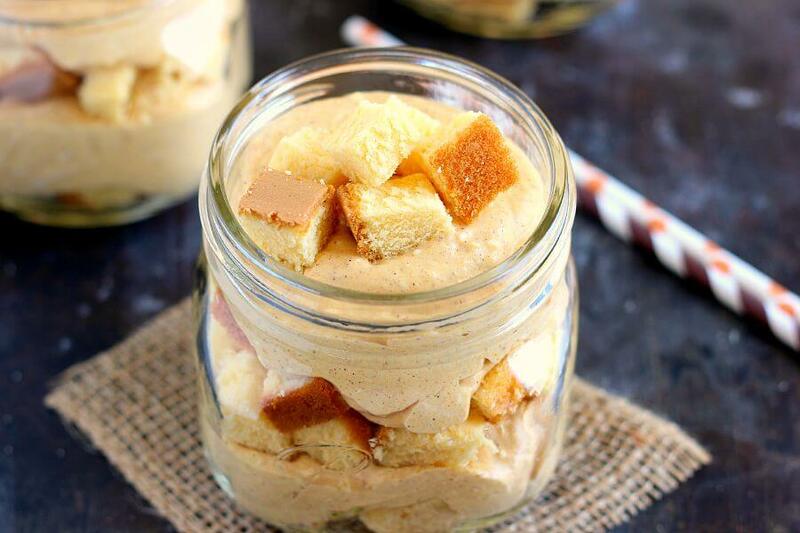 This No-Bake Pumpkin Cheesecake Trifle is filled with a creamy cheesecake batter that's swirled with pumpkin and topped with golden pound cake chunks. It's an easy treat that requires no oven and is perfect to capture the flavors of fall! Place about half of the pound cake cubes into the bottom of three trifle glasses or a trifle bowl. Set aside. Add in pumpkin and mix until combined. Spoon half of the mixture over the pound cake cubes. Top the pound cake cubes with the rest of the cream cheese mixture. Is that a Sara Lee pound cake?! If so, I'm already sold. Love that stuff. And the cheesecake part is fantastic. I'm glad you held off, even though it must've been hard! Yes! Sara Lee pound cake is my favorite! :) Thanks for the kind words, Mir! Yum, I love trifles especially no-bake and easy to find ingredients. Thanks for the kind words and for stopping by, Linda! Thanks for the cheesecake love, Sarah! I totally agree, these are definitely perfect for when I don't feel like turning on the oven! This is a great easy recipe for the holidays! I love how you are serving them, so cute! Thanks, Kelly! I think this would be a perfect dessert for the holidays! Thanks for the sweet words, Cheyanne! Pumpkin and cheesecake make the best combo! I love anything that is no bake, as there is less for me to get wrong haha. Great idea to put a cheesecake in a trifle. Love it! I agree, Dannii! With no-bake treats, it's harder to mess up! :) Thanks for the cheesecake love! How could you keep this a secret? I'll forgive you because no-bake pumpkin cheesecake and pound cake sounds delicious! What a great combination Gayle! 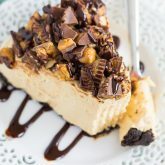 Love no bake desserts like this one! Awesome pictures! No-bake cheesecake desserts are a weakness of mine, and this pumpkin version looks delicious! No apologies necessary for not getting them posted sooner -- the important thing is they're here now. :) They sound so delicious with the pound cake cubes, and they would be perfect for the warm weather we're having! Thank you, Marcie! I love the combination of pound cake and cheesecake, it gives this dish such a great texture! Thank you, Annie! This dish is practically fail-proof, so it's perfect for the holidays! Oh my goodness this looks like such a treat! This is a great idea. Thank you for the kind words and for stopping by, Mary! Gayle, this dessert looks SO good! I bet the creamy pumpkin cheesecake is amazing with the pound cake. I'm getting hungry just thinking about it! I love how easy this is, too! Thanks for the cheesecake love, Kristine! Cheesecake and pound cake make one irresistible combination! Dessert HEAVEN!!! Trifles are one of my favorite treats to eat, and they always look so impressive (with minimal effort). Love this fall-inspired version! Looks delicious Gayle! Packed with all the fall flavors! This is the perfect no bake treat, Gayle! Pumpkin cheesecake and pound cake sound like a match made in heaven! Love the individual servings! I just love how simple these are! No bake cheesecake is one of my favorites too! My mom only ever made cherry when we were growing up, but I know this one would be a big hit too! Love a no bake dessert! These cheesecake trifles look fabulous Gayle! Oh I love how simple this is to pull together! And what a fun flavor for fall! I am allll about the pumpkin these days and I would love one of these for dessert! Gayle, I love this trifle cheesecake dessert!!! what a great idea! and that cheesecake pumpkin batter sounds delicious!!! Oh this is SO HAPPENING in my kitchen!! It's still super hot in my neck of the woods but I want to enjoy pumpkin everything! I have a huge weak spot for Sara Lee pound cake and you just took it way over the edge, pinned! Thanks for the kind words, Senika! Sara Lee pound cake combined with cheesecake is the best! Oh my gosh! This is genius! This is the perfect Fall treat! Thank you, Annie! It's my new favorite fall dessert! Can I just tell you how happy this makes me?? No bake + fall + cheesecake = the happiest person in the world. Yaassssss. Pinned! It's definitely a great combo, right? :) Thanks, Annie! Thanks for the kind words and for stopping by, Meghan! These trifles sound amazing, Gayle! 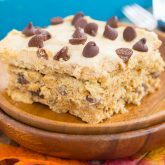 I love no bake recipes, especially if they involve pumpkin! This cheesecake sounds fantastic Gayle! I love how easy this is and that it's no bake! Win-win! Thanks for the cheesecake love, Sina! Love no-bake desserts! They are definitely my favourite! 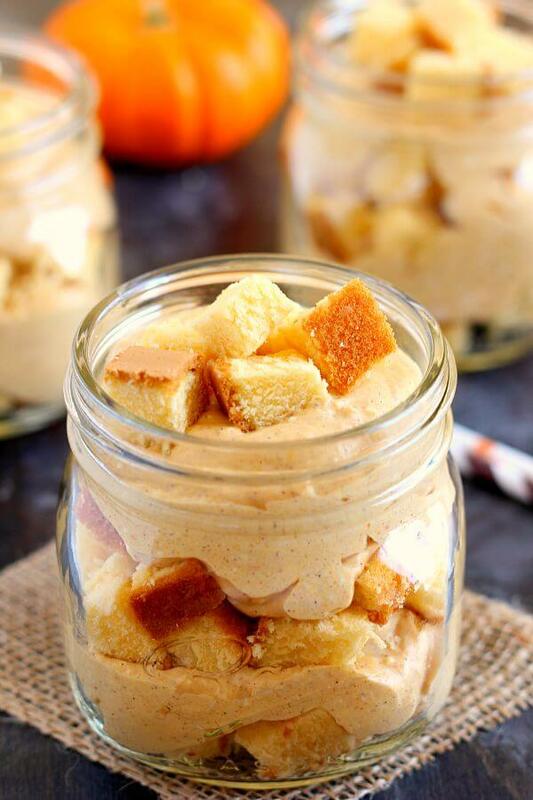 This pumpkin cheesecake trifle looks delicious and so creamy! What can be better than pound cake covered in cheesecake batter? Especially with pumpkin flavor and no-bake! This is perfection in a jar! Major craving here! Thanks Gayle for always making me hungry! Thanks for the cheesecake love, Katalina! You are SO creative Gayle!! I love this fun trifle that is so easy to assemble and NO BAKING!! Wahoo!! Thanks for the cheesecake love, Chelsea! I love how easy this looks to make and how it is no bake- which means we can dig in and enjoy it quicker! Pumpkin is my favorite and mixed with cheesecake just sounds heavenly! I could probably put down the entire batch of the mousse all by itself!! Love it! No bake. Cheesecake. Pumpkin. Pound Cake. I'm in! Thanks, Beverley! Hope you enjoy this if you try it! Where has the time gone?! Thanks for the cheesecake love, friend! 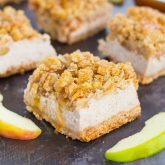 I love no bake cheesecake treats! Those are always the best! Your pumpkin version looks amazing! It must have killed you waiting until now to post it! Thanks for the cheesecake love, Shelby! This is just so perfect, Gayle! It still needs to cool down here so the fact that this is no-bake is just absolutely brilliant! I loveeee the pumpkin cheesecake and then the pound cake chunks make this even more enticing! I cannot wait to make this! Thanks for the cheesecake love, Samina! Gayle this looks so delicious and I love the idea of adding pound cake pieces in there!! It's like pumpkin heaven!Genius! Pound cake and cheesecake makes the best combo, Ami! Thanks! This looks amazing. I can't wait to try this. Out of curiosity, is there a sweet potato version of this versus pumpkin. All I know is one way or another, I am making this very, very soon!! Thank you, Trey! There probably is a sweet potato version, though I have never made one before, so I don't have a recipe for that on my site. I hope you love this pumpkin version if you try it!